Step 3) Go to Blockchain.info for Your Own Wallet Address store it on a text doc somewhere safe on your pc as you will need to paste it in the form below. Step 4) Buy Bitcoin at LocalBitcoin.com You can buy with paypal or bank transfer and many other methods depending on the person you are buying from and your purchase is safe as everyone has a trust rating you will see 1,000's of sellers from all around the world.People from the uk can now buy Bitcoin at their local PayPoint through instant-bitcoin.com Although you will need a printer,or go to a internet caf.To print off barcode for shopkeeper, not sure if you can use a smartphone. Once you have your bitcoin go to step 5. Important after submit it will reply back with the wallet address to pay on your screen on the bottom of this website it will not send it to your e mail so copy paste carefully somewhere safe on your pc and label as address to pay. Step 6) go to Blockchain.info send money tab and enter the address you were given in step 5 and the amount of $25. 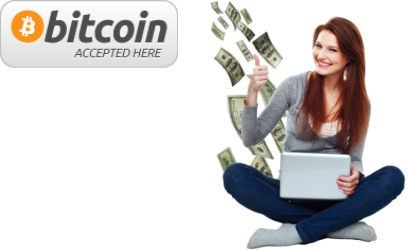 Your bitcoin introducer will then check payment has been made using the details you gave below on the blockchain and send you the thank you get started page within 24hrs.